A top European Union official has called for a peaceful solution to Venezuela&apos;s crisis through free and transparent presidential elections as desperate residents gathered at the Colombian-Venezuela border demanding embattled President Nicolas Maduro allow in emergency food and medicine. EU foreign policy chief Federica Mogherini said an international coalition does not plan to impose a solution but is focused on finding answers to avoid violence or foreign intervention within Venezuela. "We can have different points of view and readings about the causes of the crisis," Mogherini said. "But we share the same objective, wishing to contribute to a politically peaceful and democratic solution." The "International Contact Group" met in Uruguay&apos;s capital to discuss Venezuela&apos;s crisis for the first time since opposition lawmaker Juan Guaido declared himself interim president of the South American nation. 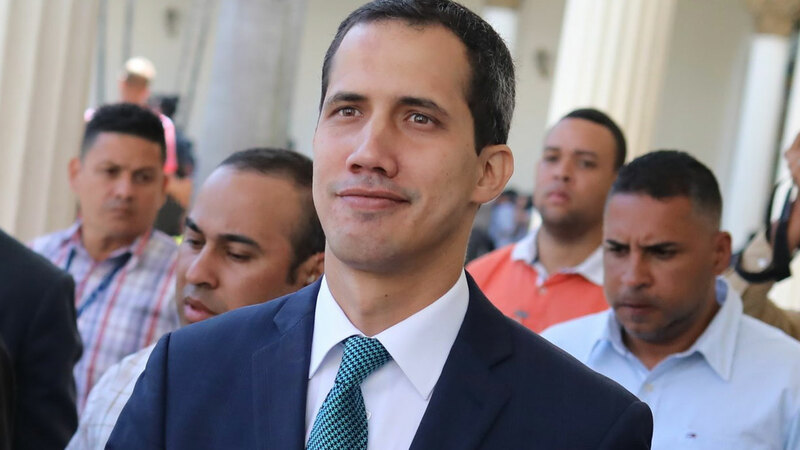 Guaido, who has backing from some 40 countries including the United States, is seeking to oust Maduro following a 2018 election that many countries say was a sham. Maduro has support from several countries, including Russia and China. But as the gathering got underway, tensions were playing out farther north in the Colombian border town of Cucuta. Humanitarian assistance from the U.S. is in Colombia and is en route to the town over objections from Maduro, who blames the White House for leading a coup against him. About a dozen human rights activists on Thursday stood at the metal gate at the entrance to the bridge on Colombia&apos;s side. They held flags while Colombian police trucks carrying armed officers and other authorities drove by throughout the day. Escobar says that he doesn&apos;t want other Venezuelans to suffer his wife&apos;s dire fate.